Suspected notorious mob boss James J. "Whitey" Bulger chuckled in a California court as he appeared in public today for the first time in 16 years. "There's a lot of media here to see you," Bulger's longtime girlfriend, Catherine Greig, told the legendary former leader of the brutal Winter Hill Gang, according to a federal official there. The shackled Bulger just laughed. When the judge asked Bulger during the short hearing if he had read and understood the charges listed against him in a 200-plus page indictment, Bulger said he hadn't read it all but knew what was inside. Bulger, who has been on the run with Greig since the mid-1990s for his alleged role in at least 19 murders, was arrested at his Santa Monica, Calif., home late Wednesday. Though the Bulger was arrested without incident after officials say he fell for an FBI "ruse," Bulger was housing enough weapons -- including sawed-off shotguns, Mac 10 machine pistols and AR 15 assault rifles -- for a small gangland war, law enforcement sources told ABC News. He also had a bundle of cash in the home totaling approximately $800,000. The FBI tracked Bulger down after receiving a "promising" tip in response to a new Bureau publicity campaign which focused on tracking down Greig, FBI special agent in charge Richard DesLaurers told reporters today. After watching the house where Bulger and Greig were suspected of living, the FBI confirmed the 81-year-old was their man and duped him into coming out of the home to be arrested, DesLauriers said. DesLauriers would not say exactly how the FBI tricked Bulger -- who has managed to slip past the Bureau for nearly two decades -- into giving himself up. Bulger and Greig had been living under the false names Charles and Carol Gasko, officials said, and appeared to have lived in the Santa Monica home for some time. Two property managers at the Santa Monica property told The Associated Press the fugitive pair, using the Gasko name, moved in in 1996. Bulger is in federal custody in California but is expected to be extradited to Boston within the next 48 hours, Bulger said. Greig's twin sister, Margaret McCusker, told ABC News the arrest came as a shock. "I am very emotional about all this but I have to say I am happy my sister is going to coming home," she said. "I talked to her the first couple of years but I haven't talked to her since. It's been a very long time... I didn't know if she was alive or dead, and suddenly it is within my grasp." DesLauriers also declined to provide any information about the tipster that sparked the successful operation, but said the Bureau would be working with the Department of Justice concerning a possible $2 million reward. Bulger could face life in prison for the charges against him in Boston and possibly the death penalty for charges filed elsewhere should he be convicted, U.S. Attorney Cameron Ortiz said. Greig could face up to five years in prison for harboring a fugitive. "We [have] gone a long way in bringing justice to the victims and their families," Ortiz said. "Now we have the ability to bring him to at least face these charges... At least now we have the opportunity to prove our case. 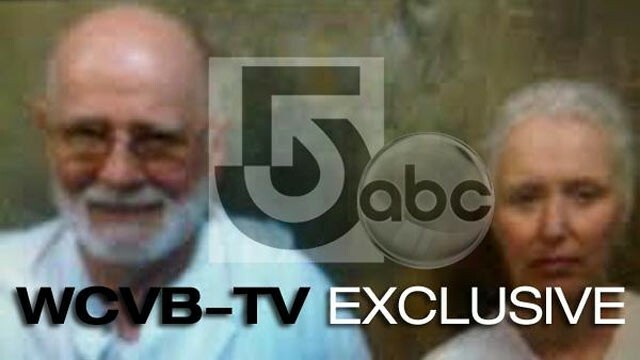 On Monday, the FBI had announced a new television campaign aimed specifically at women, in the hopes of tracking down Greig, hoping she could lead agents to Bulger. The infamous duo have been on the run together since 1995. According to the FBI's website, Bulger was being sought in connection with murders committed from the early 1970s through the mid-1980s during his leadership of organized crime. Some of the crimes listed in connection with Bulger include conspiracy to commit murder, conspiracy to commit extortion and narcotics distribution, amongst others. James 'Whitey' Bulger a former FBI informant, went on the run in the mid-1990s after he was allegedly tipped off by a now-disgraced ex-FBI agent that he was about to be indicted. The FBI agent, John Connolly Jr., was convicted in 2008 for his role in a mob hit in 1982 while he was supposedly undercover. The Winter Hill Gang allegedly raked in income from extortion payments paid by career criminals in the Boston area in exchange for the ability to run drug operations, loan sharking and other illegal enterprises.